The mower was delivered this early this morning, great service. Although the outer packing said "oil not included" I was pleasantly surprised to find a litre bottle in with the mower, thank you. We have a nice trim lawn now. Good service. Happy with everything. All the equipment bought from you is working and more importantly earning well. Thank you very much for your excellent and prompt service. I can't believe that the strimmer arrived so quickly. 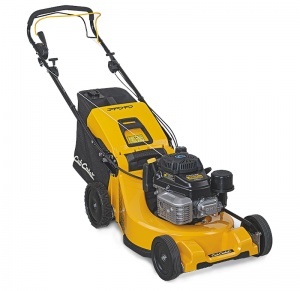 I'll definitely recommend you to anyone looking for garden machinery. My Wolf Row Marker arrived before 10 today so thanks for the brilliant service… you cannot be faulted. Very impressed with the delivery and demonstration skills from this company. Best regards and may I say what a good website and overall service you have provided. It finally arrived this evening and has already completed it first job. I am extremely pleased with it's operation. I wish to thank you for your very efficient and professional service and would have no hesitation whatsoever dealing with your company again in the further or indeed recommending you to others. Many Thanks for the order received on Thursday as promised. Super efficient service, I will recommend your services to friends!! Received machine midday today. Thanks for your top class service. Machine received today, Thank you very much. Pleasure doing business with you, regards to all. I will recommend you to my colleagues. Thank you for a great service,chainsaw is just right for my needs.5stars all round. Thank you for perfect service Mr ROB MANTON. Got my plough 0730 this morning. Just a quick note to say thanks.. Lately it seems everyone I've had contact with (customer service/sales) has been seeming remarkable hostile or just plain disinterested. Dealing with you guys has been a relevation in comparison & thought it well worth taking the time to tell you that. You replied to my mail, and the sales team behind the counter was extremely helpful and though I was obviously a private sale, with little chance of return business (only because I don't regularly need the type of equipment you sell) took the time to explain the pro/con of the saw's I was looking at. It's been a great experience dealing with you. Many thanks for the Honda lawnmower,superb.just had to try it out this morning works as one would expect.thankyou jp. I am delighted to report that my scythe mower was delivered this Monday 9th August in first-class condition and was put to use almost immediately. Thank you for such great service. Thank you, order was delivered this afternoon. Amazing it got here as quick well done for the prompt delivery. Thank You, I received my Mower in good condition and look forward to running it very soon, Thank you for very good customer service, and Very competitive prices. I would like to express my gratitude regarding your high quality after sales service. Thank you, not only for your speedy response (I posted the chainsaw on Tue & it was returned Fri morning) but for also injecting a sense of humour into your customer care. My son, Finley aged 2 years 8 months was very impressed how quickly Santa’s Elves repaired his chainsaw & especially pleased to find a note enclosed actually from the Elves themselves! Dear sirs I placed the order on Monday and you delivered the mower on Wednesday, the kind of service that explains why your company has been around so long! Great tiller. This was recommended by the guys at garden machinery direct, after I told them what sort of area I needed it for. I was impressed when it arrived just 2 days after I ordered it over the telephone and I'm extremely pleased with this product. just ideal. I spoke to a salesman who had great knowledge on this product and how it worked, I am ever so pleased with my purchase. Thank you for your expert advice. It was the very best wrapping I have seen to date. Thank you ever so much for your help on purchasing my chainsaw it was a difficult decision as there are so many to choose from. The phone call really helped me and I am please with the product.